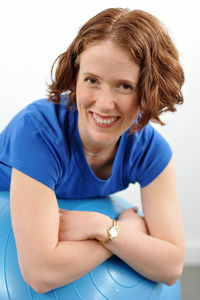 Helen Lowe founded Through Life Physiotherapy in 2006. She is thrilled to see her vision of a physio practice that provides specialist care and active rehabilitation growing every year. Graduating in 1999, Helen has pursued a career focused on rehabilitation, paediatrics and women’s health. Helen is passionate about enabling women to exercise throughout their pregnancy and following the birth of their baby. Hundreds of women have joined the Through Life classes since their inception in 2006. Physiotherapists who specialise in paediatrics, neurological and vestibular physiotherapy, clinical pilates, mastitis treatment and respiratory physiotherapy are rare in rural Victoria. Helen has trained extensively in these fields of physiotherapy and is pleased to provide these services in Warragul and to patients from Pakenham and the south eastern corridor and right throughout Gippsland. Helen moved to Warragul in 2001 with her husband. They love the rural lifestyle especially bush walking with their two boys. Helen has danced throughout her life, studying Cecchetti Ballet Method to intermediate standard and more recently performing with the Warragul Theatre Company. Helen pursues her passion for music and caring for children and families in her volunteer roles at Warragul Anglican Church.